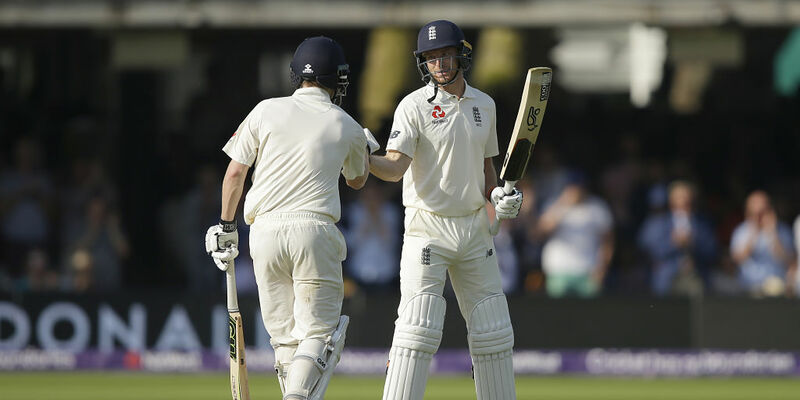 FirstPost.com (India) – London: Jos Buttler and Dominic Bess fought a determined rearguard action as England avoided an innings defeat by Pakistan in the first Test at Lord’s on Saturday. London: Jos Buttler and Dominic Bess fought a determined rearguard action as England avoided an innings defeat by Pakistan in the first Test at Lord’s on Saturday. Jos Butler and Dom Bess both scored half-centuries as England avoided an innings defeat against Pakistan. England were 179 runs behind on first innings after Pakistan were bowled out for 363 early on Saturday, with Babar Azam unable to add to his 68 after retiring hurt Friday with a broken forearm while facing Ben Stokes. Amir, whose career almost came to a complete end at Lord’s back in 2010 after he received a jail sentence and five-year ban from cricket for his involvement in a spot-fixing scandal during a corresponding Test against England, had taken two wickets for no runs in three balls. Buttler and Bess, however, kept Pakistan at bay with Bess — whose first-class debut, against Pakistan, was just two years ago — driving Hasan Ali for four to give England the lead.